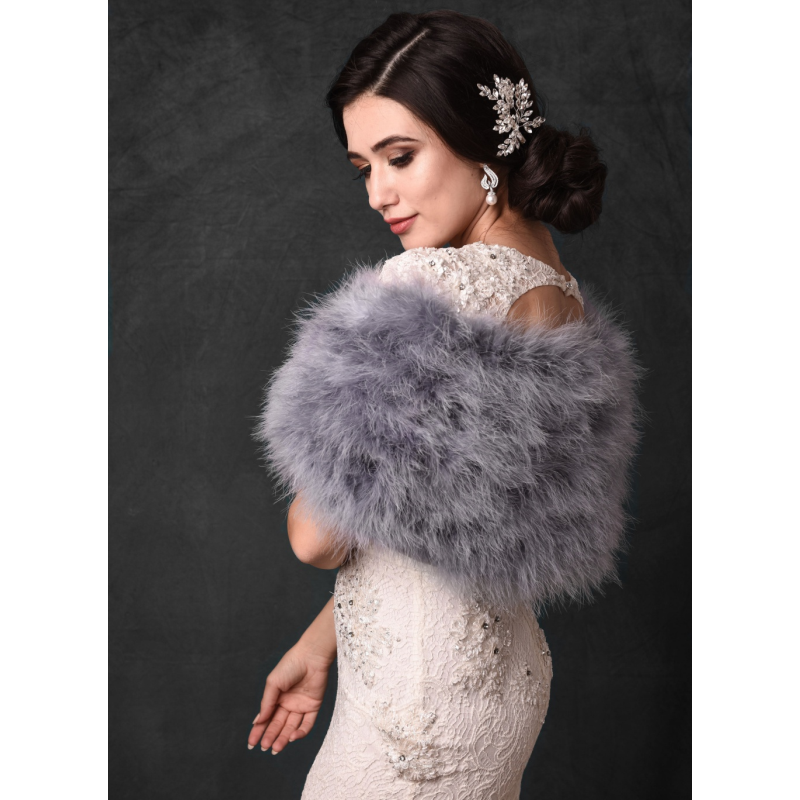 grey feather bridal stole in a vintage inspired design made with genuine marabou feather this vintage feather bridal wrap is high quality, glamorous and stylish. This stole is designed with a hook and eye fastening. Size is 100cm long and 20cm wide.